New Yorkers poised to benefit from record-clearing for past marijuana offenses are majority black and Hispanic. In New York City, these communities made up 85 percent of marijuana possession arrests in 2016. It’s still unclear, though, how many crimes will be eligible for automatic clearing. There are also different record-clearing processes within an automatic framework: to seal a record is to shield it from view, while to expunge it -- advocates’ preference -- removes it completely. 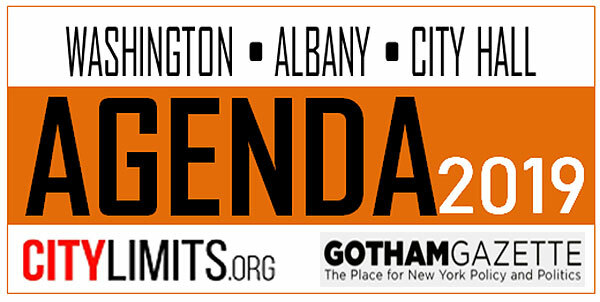 “I believe that the Governor's office shares the goal of Assemblymember Peoples-Stokes and I,” stated Senator Liz Krueger, “to create a mechanism for automatically clearing records for marijuana offenses that would no longer be crimes.” Krueger, a Manhattan Democrat, carries the Legislature’s Marijuana Regulation and Taxation Act along with Assemblymember Crystal Peoples-Stokes, a Buffalo Democrat who is also the majority leader of the Assembly. As for scope, Cuomo’s budget proposal would automatically clear the low-level possession convictions that make up the majority of marijuana arrests -- 800,000 over the last 20 years according to his office -- by amending existing record-sealing procedures. By contrast, Democrats in the Legislature have in recent legislative sessions proposed clearing more records: all possession-related, and some sale-related, convictions. "We have three goals,” Cuomo’s counsel Alphonso David told Gotham Gazette, defending Cuomo’s proposal. “The first goal is to make sure that we advance social justice. The second is to advance economic development, and the third is to protect public health and safety. Our proposal addresses all three goals." Currently there is no expungement procedure in New York, and the governor’s office has indicated he prefers sealing. But advocates say expungement would remove ambiguity. “You would be able to say, ‘I have no criminal record,’ and that would be the end of the conversation,” says Legal Aid Society attorney Emma Goodman, an expungement expert who helped draft relevant bill language shared with Krueger’s office in January. 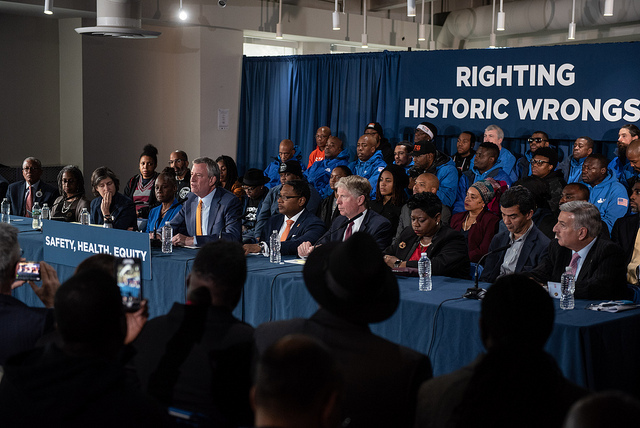 “Expungement means completely erasing these convictions and criminal records to give New Yorkers of color a fresh start,” said Samaria Phillips, manager of the We Rise to Legalize campaign, in a statement. Her group is attending the New York State Association of Black and Puerto Rican Legislators’ annual conference on Saturday in Albany to call for expungement. Mayor Bill de Blasio also endorsed automatic expungement in a December 2018 task force report from his administration, with the caveat that district attorneys should have the ability to challenge on a case-by-case basis. “Expungement should occur as an automatic process…to minimize procedural burdens on those with past convictions,” the report states. Senator Krueger’s chief of staff, Brad Usher, also confirmed that her office does not have a preference so long as the process is automatic. 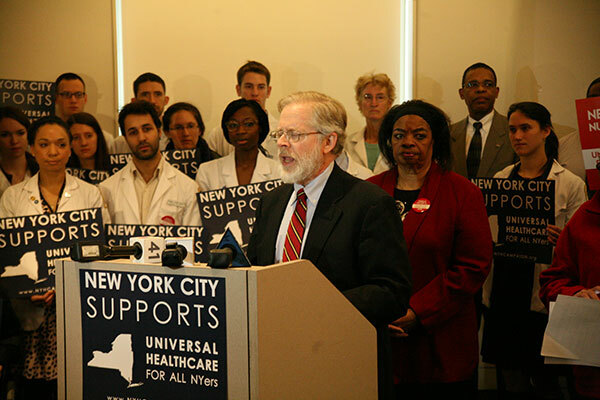 One of the most hotly-debated issues in state government is whether New York should or will move ahead with the New York Health Act, which would institute single-payer health care. 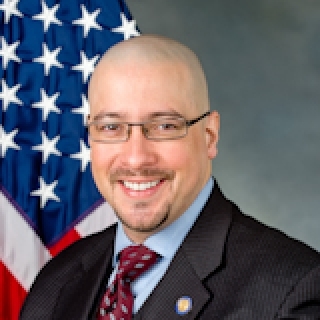 State Senator Gustavo Rivera, a Bronx Democrat, is the Senate sponsor of the bill and will soon be part of the Democratic majority in the Senate, as well as the health committee chair. 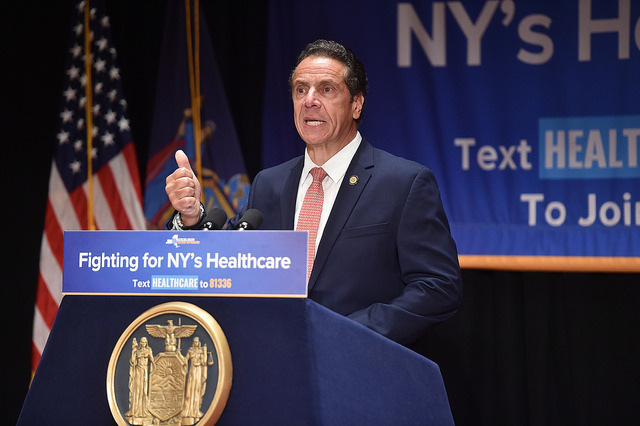 He joined the show to discuss the broader priorities of the Senate Democrats and the prospects for the New York Health Act when his party has full control of state government come January. 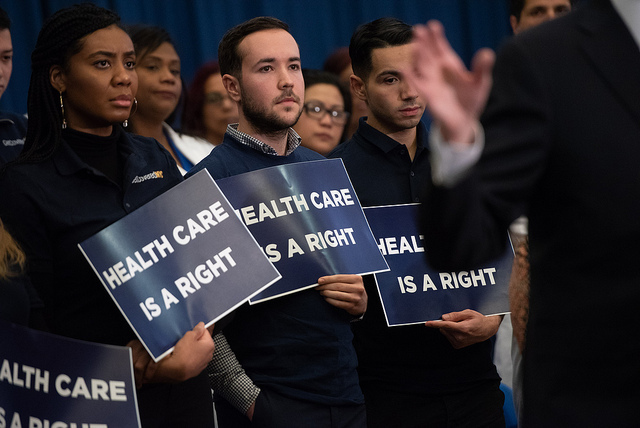 Then, Bill Hammond, director of health policy at the Empire Center, joined the show to dissect the New York Health Act and a variety of ways in which he thinks it is problematic legislation, as well as the political terrain ahead for it. The challenges that residents of Loíza faced and continue to deal with are not only emblematic of the lack of resources invested in rebuilding efforts and the crumbling economy hindering the island's recovery, but also of the resilience and resourcefulness of the Puerto Rican people. Last March, I returned to my native Puerto Rico to see the impact of the disaster firsthand. I visited six different towns across the island, including Loíza, and with a great deal of frustration and heartbreak, I confirmed what I had feared: the inadequate and anemic responses from the federal government and the island’s central administration have left almost 3 million Puerto Ricans on the island and their local governments to fend for themselves. Thousands, especially those in low-income communities, continue to suffer from unreliable electricity and water systems, food and resource shortages, and serious mental and physical health emergencies. Considering this, it should come as no surprise that the real number of storm-related fatalities is closer to 4,600 souls, according to a recent Harvard University report, as opposed to the 64 official deaths counted by the U.S. government. While the trip was disheartening in many ways, it was also inspiring and hopeful. I met several mayors, nonprofit organizations, scholars, labor leaders, and dedicated individuals whose steadfast leadership in helping Puerto Rico recover has been nothing short of heroic. Together, they have slowly built an important grassroots recovery movement that has made significant progress despite minimal resources. For instance, Taller Salud, a Loíza-based nonprofit organization seeking to ensure the physical and emotional well-being of low-income women and girls, saw its mission transform out of necessity, becoming a critical emergency response provider giving out life-saving assistance to thousands. To put it plainly, Puerto Ricans do not need or want charity. What they need is our support to further invest in those leaders and communities working tirelessly to implement innovative visions and projects locally. They want to maintain full agency over how their hometowns and infrastructure are rebuilt. We do not need to tell them or show them how to survive or thrive -- what we need to do is augment their ability to do what they have already been doing. Many states and cities across the mainland United States have stepped up to provide support in the face of the failed response by our federal government. I am proud to say that New York has done this and in spades. Our State and City governments, along with elected officials across all levels of government, local nonprofit organizations, civic leaders, and many New Yorkers launched an extremely dynamic relief effort, which continues to this day. From millions of dollars in monetary donations, to collecting tons of essential items, to sending highly qualified emergency responders, medical staff, and expert personnel to help rebuild the island’s decayed infrastructure, New York has led by example as to how to coordinate a comprehensive relief response and empower the Puerto Rican people to take the lead in its recovery efforts. During a recent meeting of Governor Cuomo’s New York Stands with Puerto Rico Rebuilding and Reconstructing Committee, I joined my fellow committee members and Governor Cuomo’s administration to identify a list of priorities and recommendations to help facilitate Puerto Rico’s rebuilding efforts. My list of recommendations focuses on counseling and mental health services, access to higher education, employment assistance, accessibility of clean water, and promotion of green energy infrastructure. As a result of the recent committee meeting, I penned a letter with members of the Senate Democratic Conference urging SUNY and CUNY to extend their in-state tuition credit program. This program aims to ensure that Puerto Rican and U.S. Virgin Islands students who relocated to New York are able to continue their higher education for the next academic year. Last week, SUNY extended the program and CUNY is expected to do the same imminently. Puerto Ricans have not only seen their lives completely torn apart by a natural disaster, but also by the criminal inaction of our federal government. 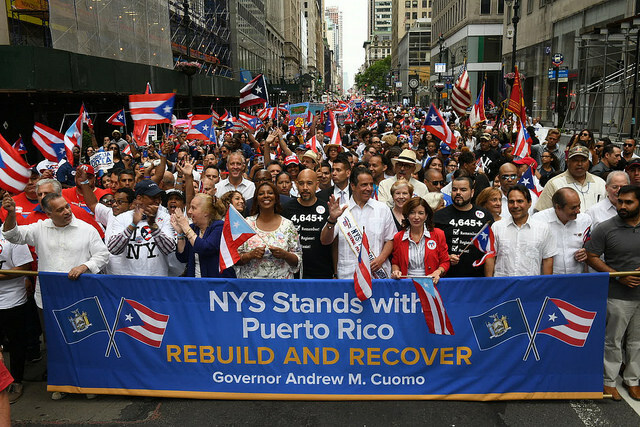 While the road to recovery will be long and filled with challenges, the spirit of my fellow Boricuas remains intact. At a time of such darkness, the clarity of their ideas and their commitment to rebuilding is worthy of support. The goal of the diaspora, and all who seek to help, must be to empower our Puerto Rican brothers and sisters to transform and improve their neighborhoods and towns as they see fit. The storm and this administration have dealt a painful blow to Puerto Rico, but the island and Puerto Ricans endure. 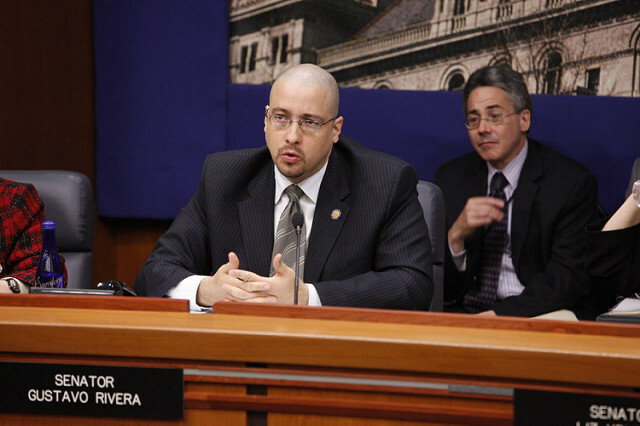 Gustavo Rivera is a state senator representing part of the Bronx and a native of Puerto Rico. 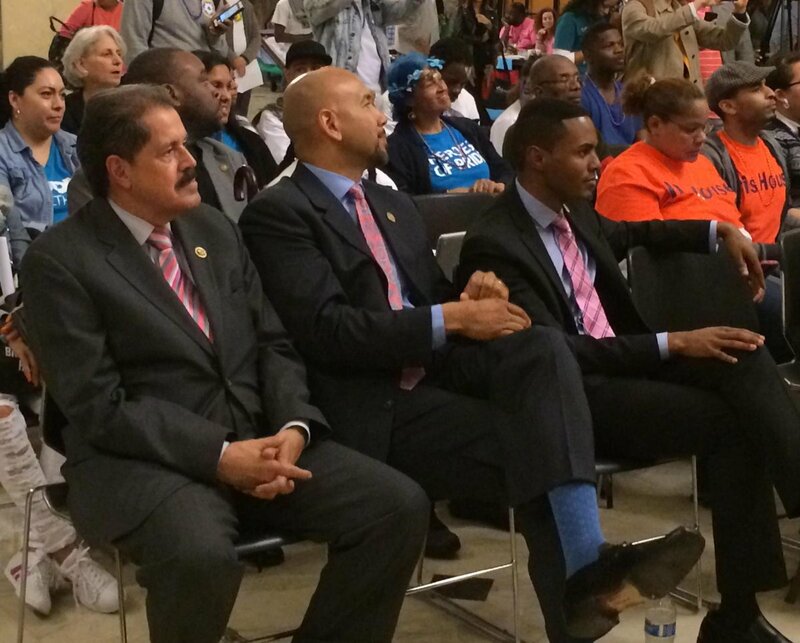 On Twitter @NYSenatorRivera. Senator Gustavo Rivera, a Democrat, alleges that the Senate campaign of Fernando Cabrera, a New York City Council Member, committed multiple violations in the Democratic primary for the District 33 Senate seat last year. In a Feb. 28 letter to the state Board of Elections, Rivera’s campaign attorney, Sarah Steiner, noted the alleged violations and asked for updates on the status of three previous requests the campaign has made to look into earlier alleged violations. In the letter, which was addressed to state BOE chief enforcement counsel Risa Sugarman and was made available to Gotham Gazette by the campaign, Steiner identified the new alleged violations by Cabrera’s Senate campaign, including a failure to file a 10-day post primary disclosure and a January periodic report with the BOE. The letter also alleges that Cabrera’s City Council campaign filed necessary disclosures with the New York City Campaign Finance Board but not with the state BOE; and that Cabrera’s Council campaign committee transferred $11,000 to his Senate campaign committee, which Steiner alleges exceeds the $7,000 limit for contributions to a state Senate primary campaign. However, that last allegation seems to be dubious since transfers by a candidate from one authorized political committee to another do not count as contributions, according to state election law. Steiner also referred to earlier requests made to the BOE to investigate whether Cabrera’s campaign had illegally coordinated independent expenditures with New Yorkers for Independent Action (NYFIA), a political action committee that was involved in four Democratic primary races last year. 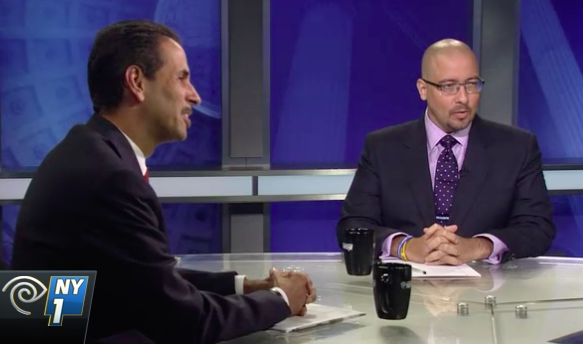 “This person has a history of violating campaign finance laws and skirting ethical boundaries left and right,” said Sen. Rivera, in a phone interview, of Council Member Cabrera. Cabrera has unsuccessfully challenged Rivera in two straight election cycles, in 2014 and 2016. Rivera’s move was prompted by the recent news, reported by the Daily News, that the BOE had recommended criminal prosecutions in five cases last year. Although it’s unknown which specific campaigns were involved, Sugarman told the Daily News that they covered “a more wide-ranging group of violations” than the nine prosecution referrals she made in 2015. BOE’s Sugarman declined to comment for this article. That Rivera has chosen to publicly call out his opponent is not surprising. The primary race for District 33 turned bitter at times, particularly with NYFIA criticizing Rivera’s record and seeking to link him with the culture of corruption in Albany. Rivera, for his part, criticized Cabrera as a political opportunist and blasted his conservative leanings on issues such as abortion and marriage equality.